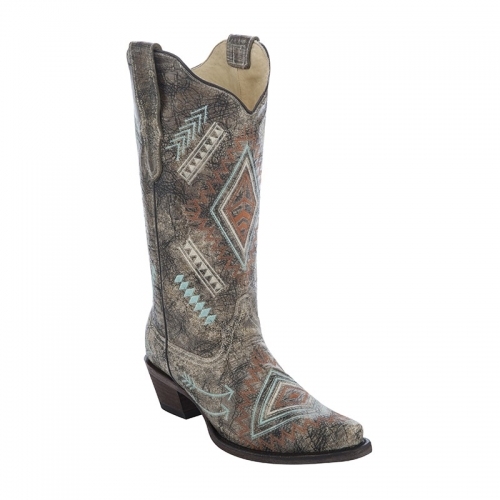 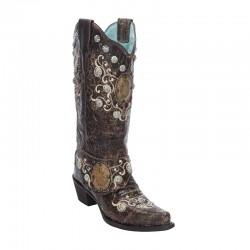 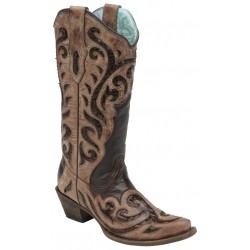 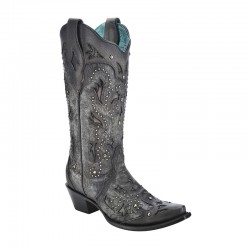 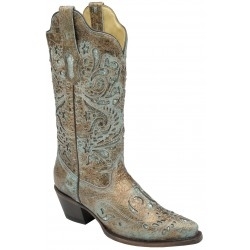 Ladies Corral R1255 - Bronze with turquoise glitter inlay - unique and beautiful! 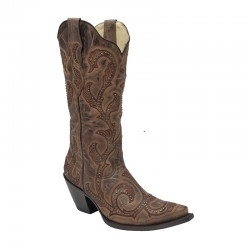 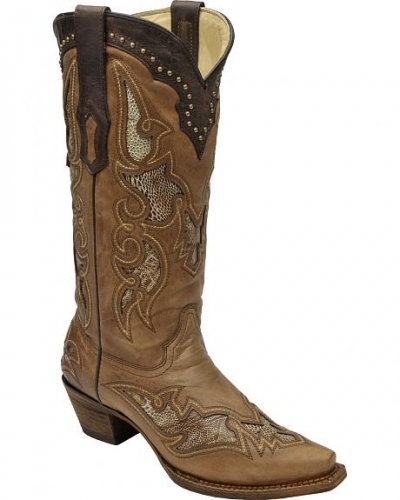 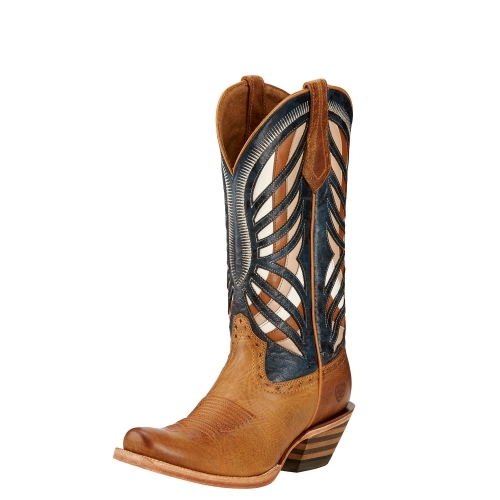 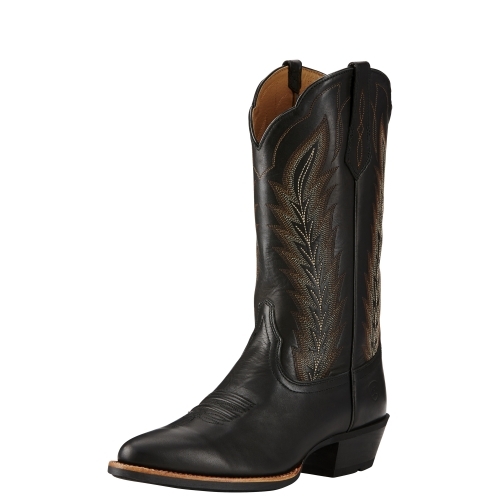 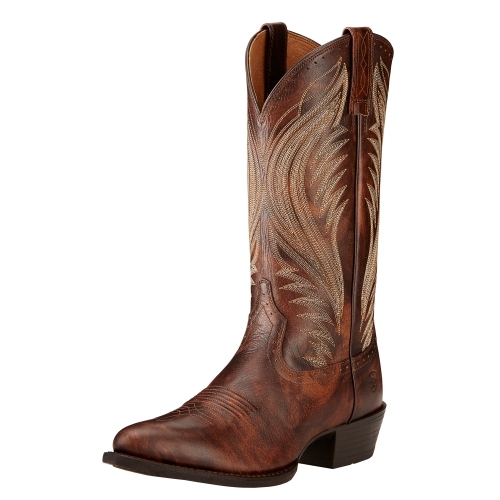 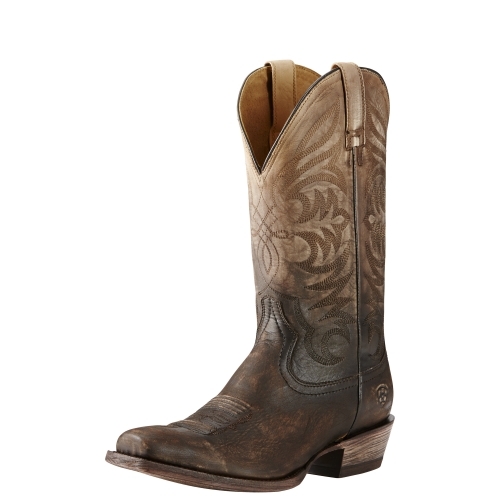 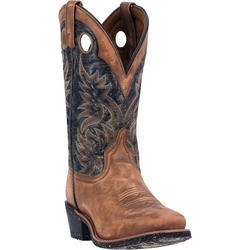 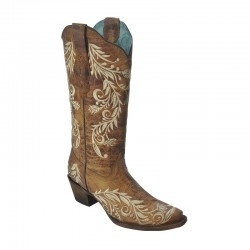 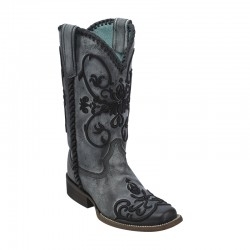 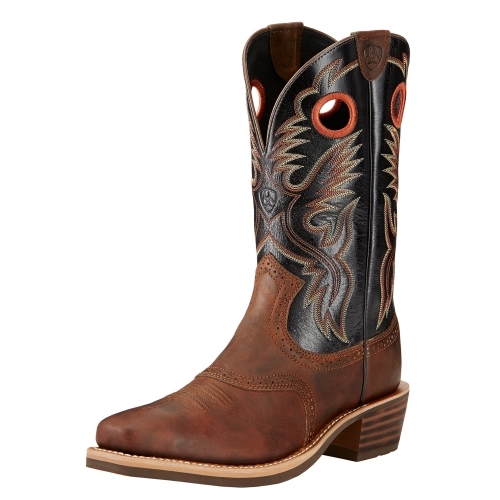 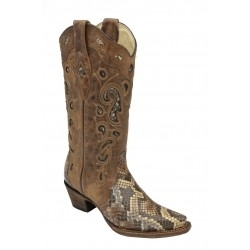 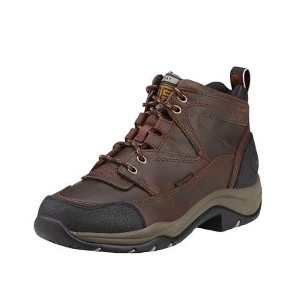 Ladies Ariat Gentry- narrow square toe - honey color with navy shaft and multi color inlays. 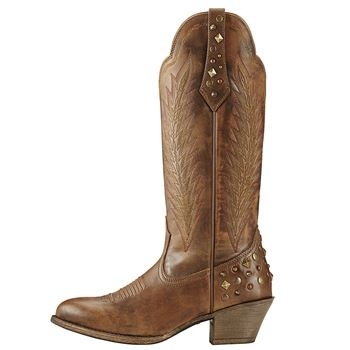 Sharp boot! 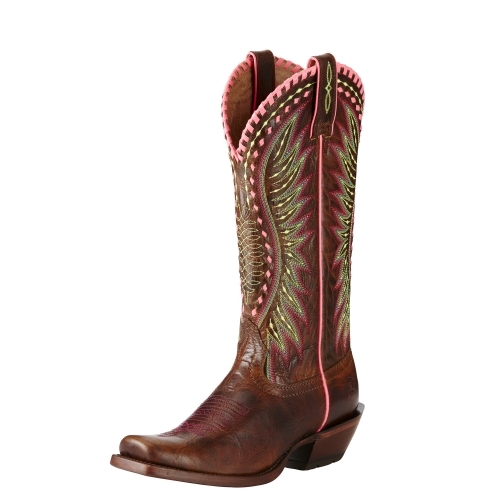 Ladies Ariat 19936 - Crackled Cafe brown with hot pink & lime stitching - whipstitch details along the topline.